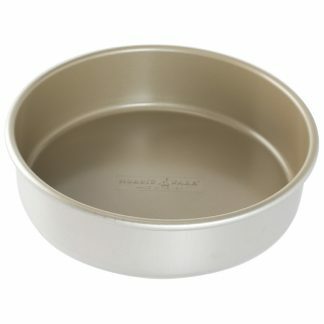 View cart “Shortcake Baskets Pan” has been added to your cart. 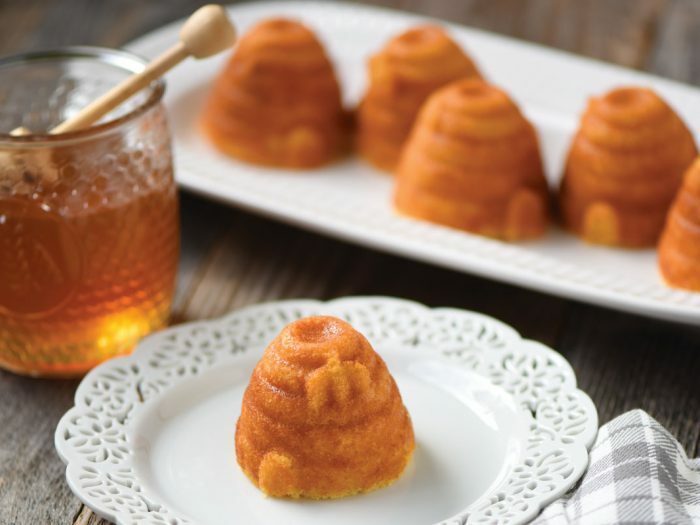 Mini hives with bees will have your guests buzzing with delight. Product code: NW90737. 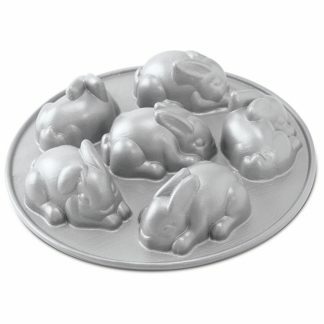 This is one of our Cake pans. Honey, these are too cute! 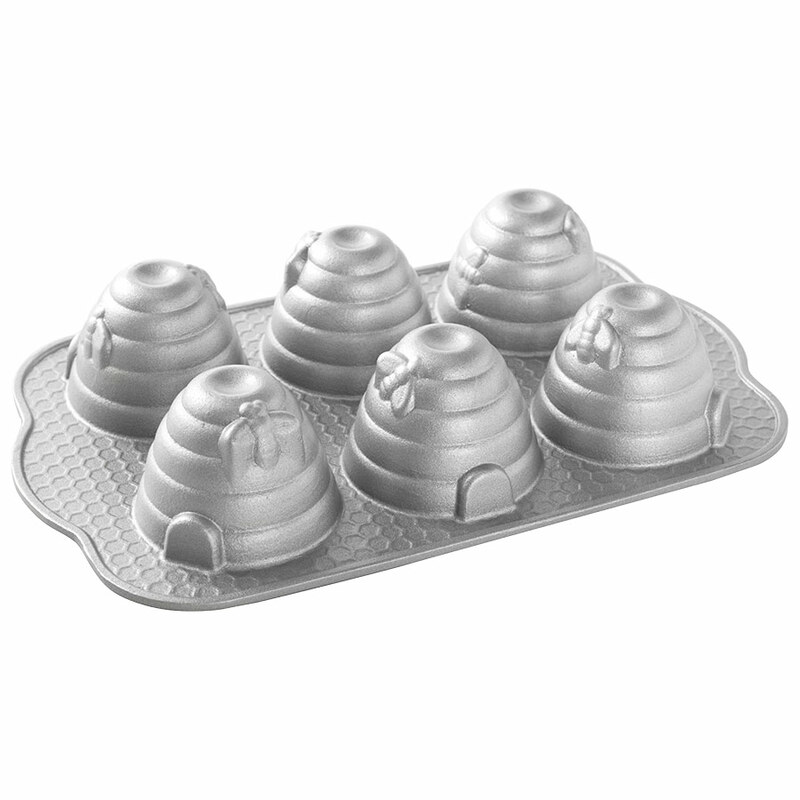 From this Nordic Ware Beehive Cakelet Pan, the mini hives and bees on your little cakes will have your guests a-buzz with delight. Your creations will becomes the centrepiece for any event, whether it is s a lunch time treat, high tea or dinner party. 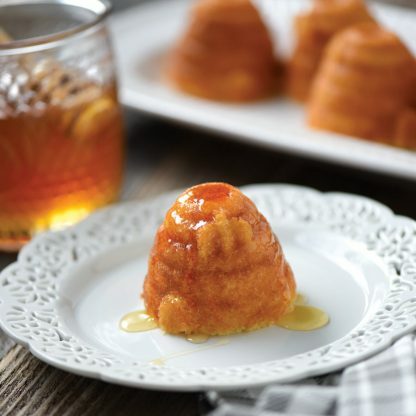 This simple-to-use Bundt pan will have you guests in awe of your baking skills. Impress your guests by baking fresh, homemade cakes, or muffins, to your desire, with no fuss. 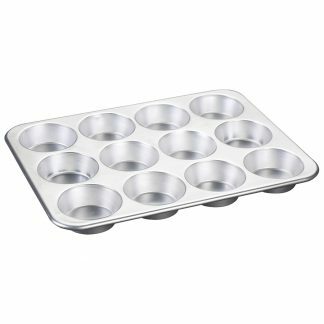 Our commercial-quality pan produces an elegantly shaped cakelets that you will be looking forward to decorate! 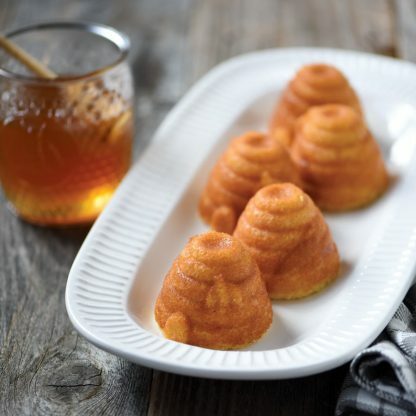 The Beehive Cakelet Pan allows you to make professional looking little cakes in your own home. The possibilities are endless! Dont limit yourself to packet mixers, any flavour is possible! No matter which recipe you try, our nonstick coating will ensure easy cleaning-up. Before each use, simply brush with solid vegetable shortening and dust with flour or cocoa, or use baking spray with flour, simple! Backed by a lifetime guarantee, you will be baking little beehives for years to come. Proudly made in the USA. Just bee-utiful! 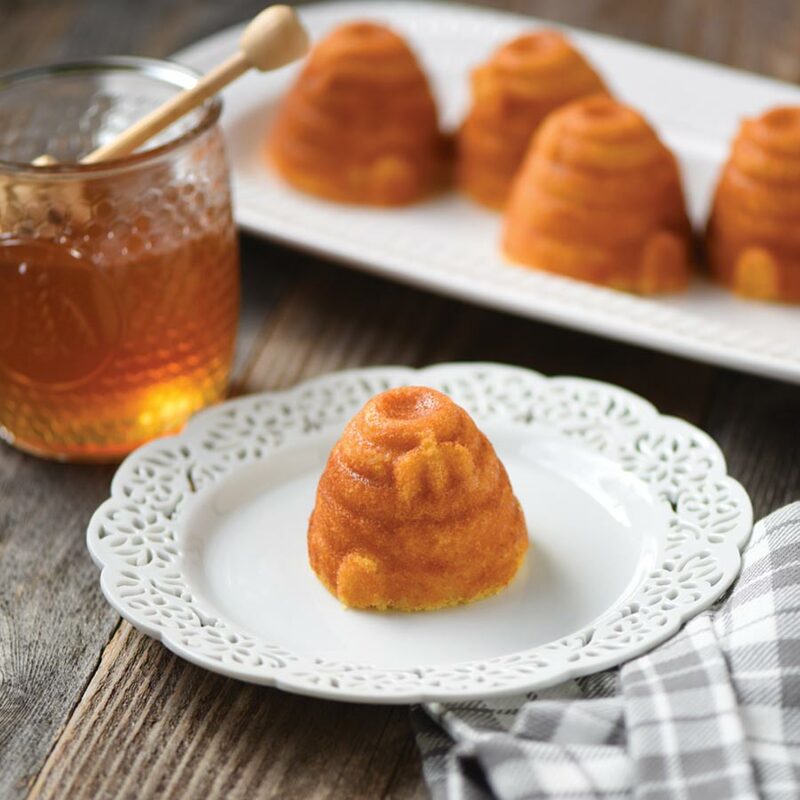 Beehive Cornbread CakesThese snack-size delights are so easy to make and you'll enjoy them sweet or savoury.